The South Coast of NSW is becoming a bike-riding mecca. From forest mountain bike trails to cruisey beach tracks – these are the South Coast bike tracks you need to ride. Grab your bike and head to the lake. 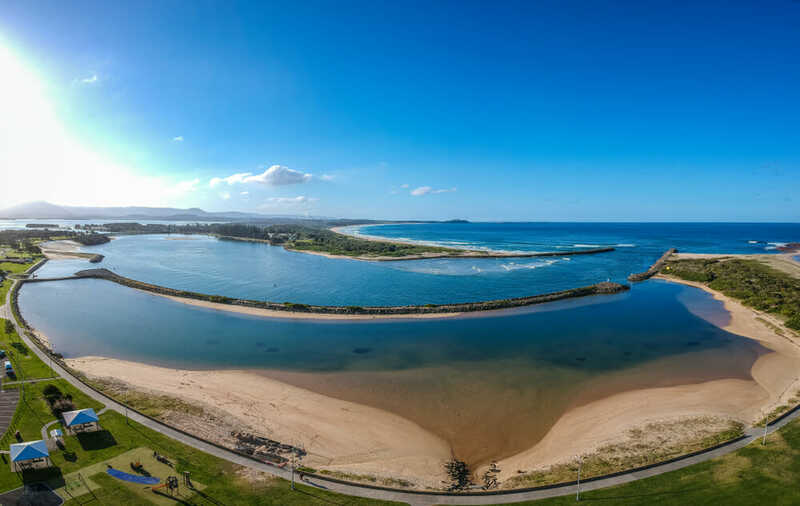 Shellharbour has shared bike paths all around Lake Illawarra. It’s a long ride – 52km so you’d be best to tackle a section depending on how confident your little riders are. Expect to see plenty of birds, fisherman and other families as you cycle around. Pack a picnic and a fishing rod. Shellharbour council has produced a downloadable map of the bike paths in the area. 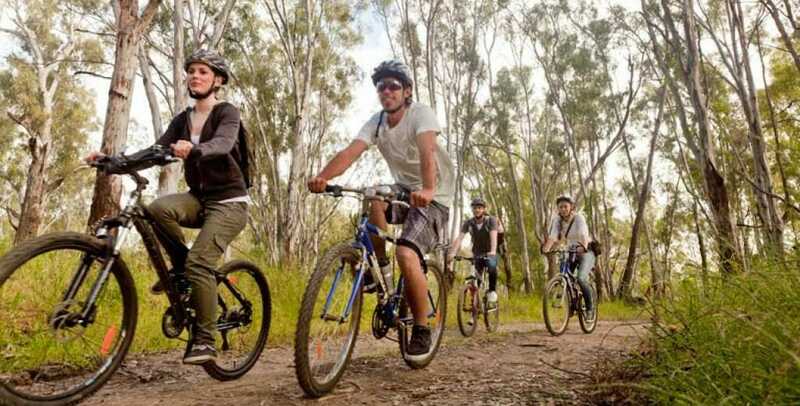 Blackbutt forest Mountain bike track is a 3km singletrack for beginner and intermediate riders. This track has some rock gardens, dirt, logs and the occasional jump. It’s a great way to get the kids started on mountain bike riding. This quick track is one of the best South Coast bike tracks to get kids into mountain biking. The Tathra Mountain bike trail is one of the best mountain bike tracks in New South Wales. At Tathra, you can swim in the surf in the morning and mountain bike all afternoon. A small group of committed mountain bike enthusiasts carved out the Tathra mountain bike trails alongside volunteers from the Bega Aboriginal Lands Council. For families, we recommend the Bundabung trails. This trail network has excellent signage. The council has graded the trails according to ability. You will find a track for beginners to advanced riders. Take the kids on the beginner trail, then let them cool off at the beach (with supervision) while you tackle the advanced tracks. If you don’t have room to pack your bike, you can hire one at Tathra Beach and Bike on Andy Poole Drive. Head to Merimbula to explore this super fun mountain bike park. Mandeni Family Fun Park is a great place to start kids mountain bike riding. Absolute beginners should take the purple track, a 1.8km flat easy ride through the bush. Once they get more confident, little riders can try the blue trail. This is a 3km ride with some easy hills through the golf course and around lakes. Head to the white trail for 11km of challenging cross-country adventure. This trail has logs, fun downhill sections and wooden bridges. To boost the kids’ confidence, get them to try out the skills park. It has bumps, log rides, jumps and bridges to improve their balance. Extend your riding by taking the link to Manna Park. Here you will find a challenging 6.5km loop with swooping S-bends, drops and narrow bridges. Mandeni Park also has mini-golf, archery, paddle boats, water golf and a science centre. Entry with your own bike costs $5 per day. Or you can rent a Trek mountain bike with entry for $14. Where: Address: 489 Sapphire Coast Drive, Merimbula NSW. 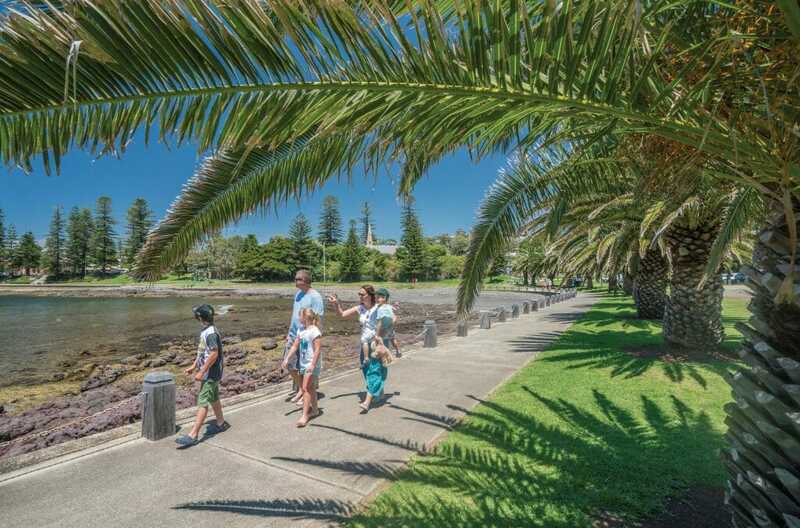 Hop on the shared path and cruise along the beach at Kiama. This cruisy coastal town has cycleways suited to every level, beginner to professional. The best place to start is to download the Kiama Cycleway map. The council has split Kiama’s bike tracks into three manageable sections. The north region includes Minnamurra to Bombo. The central section covers Bombo to Kiama heights. The southern section takes rides from Gerringong to Gerroa. Each ride has several sections varying from 1.7km to 3.8km. Beginners should try the Dunmore to Minnamurra (2.1km) track. This flat pathway begins at Dunmore Railway station and extends south toward the Minnamurra River. The sign-posted track winds through Casuarina forest crosses the river and ends in the village, where you can jump on the train with the bikes. 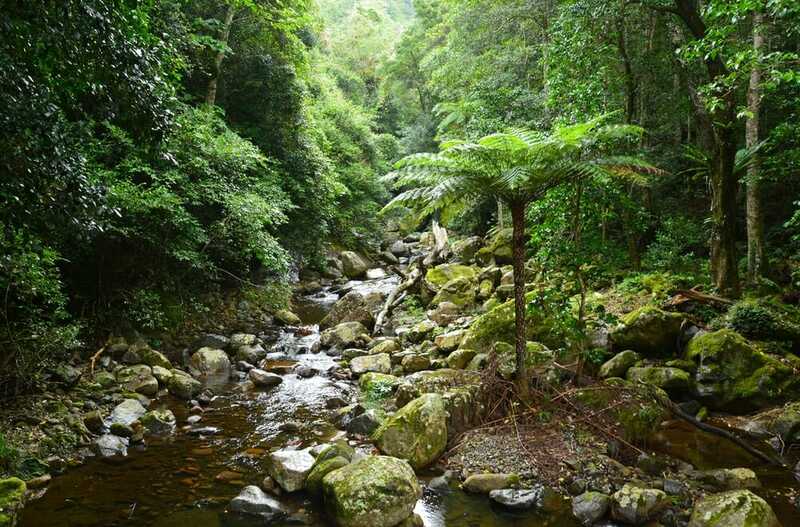 Minnamurra rainforest near Kiama in New South Wales, Australia. Eurobodalla has almost 400km of South Coast bike tracks. You will find something here everyone in your family will love. Eurobodalla has easy village pathways, beach tracks and forest trail mountain bike paths. Families will love the Narooma Family Ride. 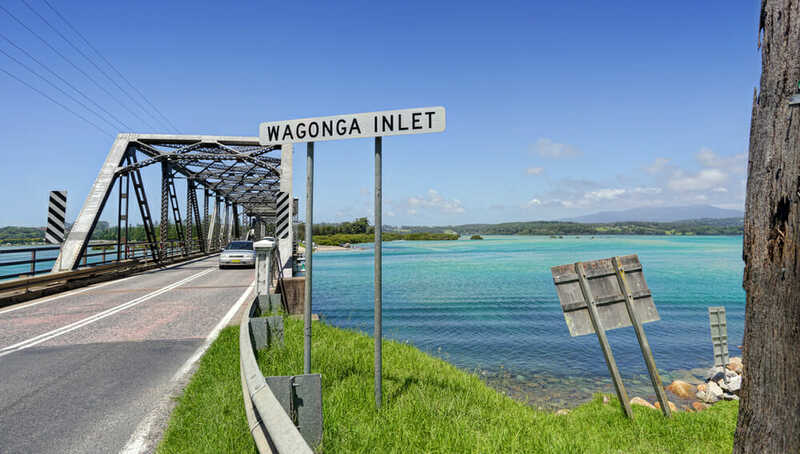 This stunning scenic ride begins on the foreshores of Wagonga Inlet. Ride up to Narooma Pilot Station headland then down to the Australia Rock on the southern breakwater. The kids will love watching the resident seals along the way. 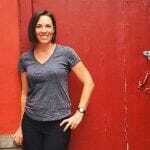 Mountain bikers should head to Mogo State Forest. The long trails here have gravel sections, downhill runs and technical climbs. For something a little less challenging – where you can take the kids – try the Spotted Gum Trail north of Batemans Bay. The 24km trail starts in South Durras with the entrance opposite Durras Lake Road and winds through native forest. Along the Old Coast Road, it’s common to see lyrebirds. Make sure you stop at North Head. Go through the campground to the walking track. The reward? One of the best whale-viewing platforms on the South Coast. 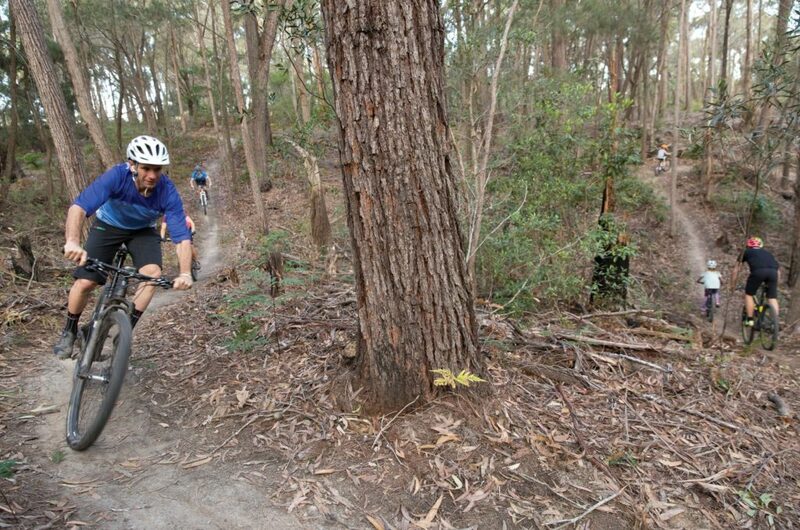 Shoalhaven’s rugged remote forests are fantastic for mountain biking. Check out Condoo, Superbowl, and Butterfly in the Currambene State Forest, 15 minutes south of Nowra. Families should try the tracks around the Kangaroo River in Kangaroo Valley. Start in the village, cross the historic Hampden Bridge and take your time following the bends of the river. 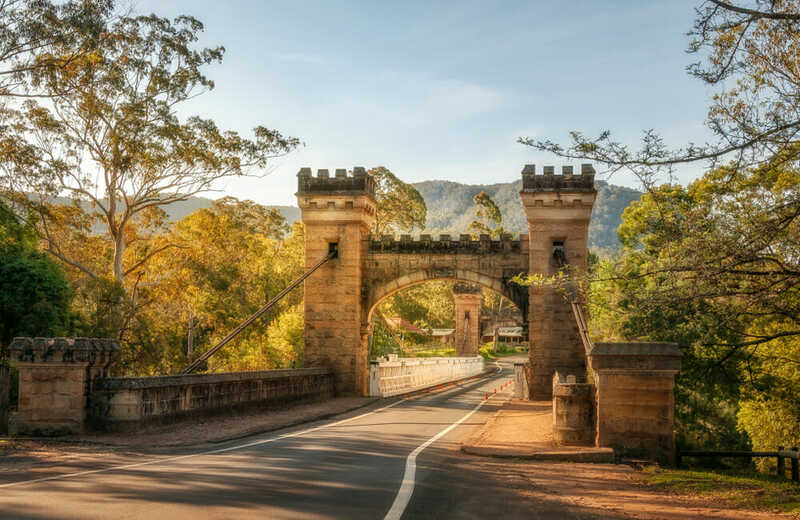 When you’re done – head back into town for one of Kangaroo Valley’s famous pies. If you’re staying at Jervis Bay, you’ll find a great bike loop all the way from Vincentia through Huskisson and around St George’s Basin. For more on Shoalhaven’s bike tracks click here.